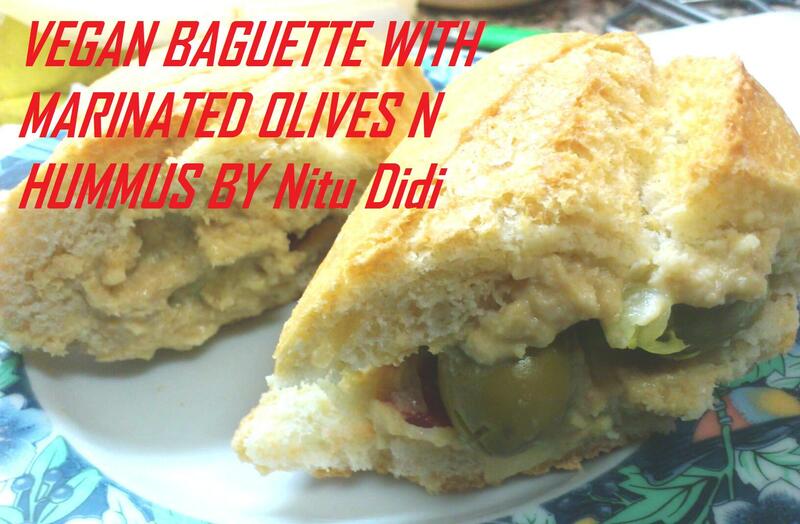 Spread the baguette halves with hummus and place the marinated olives on one side with the lettuce and spring onions. I tossed the lettuce and onions with a bit of the marinated olive liquid and left it for fives minutes before putting it into the baguette. Add some chilli sauce and cover with the other baguette. Protect the heart against diseases. Antioxidants and the “good fat” eradicate the free radicals that are responsible in oxidizing cholesterol. Prevent colon cancer. Again, the combination of monounsaturated fat and Vitamin E is make it a great health benefit. High intake of these nutrients lowers the risk for colon cancer. This definitely holds true for olives. Who would have thought that these little bulbous green and black colored fruits hold so much goodness within? are not only loved for their unique flavor but they are also hailed as one of today’s most celebrated health foods. This entry was posted in Everything Vegetarian, Floury Matter, Fusion, Healthy Options, Ideas for meals, Jain recipes, Magic Bullet, Quick Recipes, Sandwiches, Sauces and Chutneys, Veg Starters, Vegan and tagged hummus, jain, quic, sandwich, Vegan. Bookmark the permalink. Madre del amor hermosos, vaya bocata bueno y sano.